Indigo color. 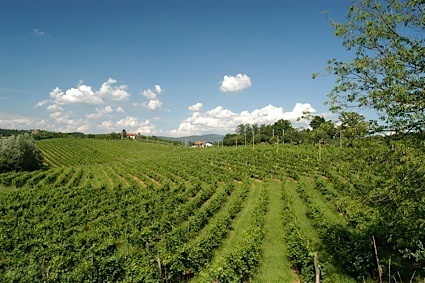 Fruity, inviting aromas and flavors of caramelized berries and yams, flan, blueberry pie, and menthol mint lozenge with a satiny, bright, dry-yet-fruity medium-to-full body and a smooth, complex, long finish with accents of vanilla nut brittle, chocolate, delicate baking spices, and cedar with silky tannins and light oak flavor. A spot-on Napa cabernet with great texture and rich fruit. Bottom Line: A spot-on Napa cabernet with great texture and rich fruit. 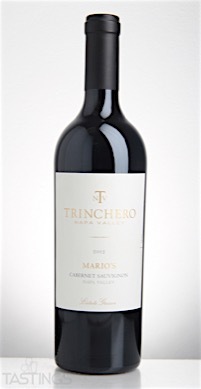 Trinchero 2012 Mario’s Vineyard, Cabernet Sauvignon, Napa Valley rating was calculated by tastings.com to be 90 points out of 100 on 10/26/2016. Please note that MSRP may have changed since the date of our review.